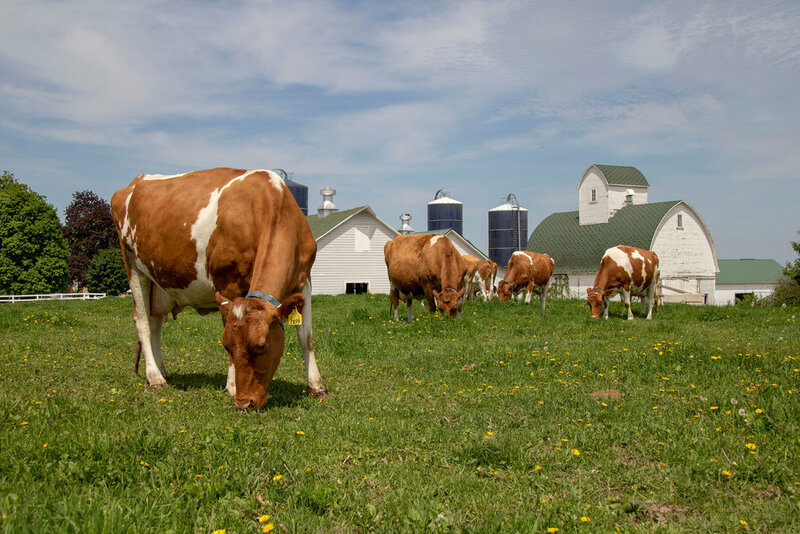 Hoard’s Dairyman Farm Creamery cheese is crafted with milk from one of the most storied dairy herds in the country. It is the oldest continuously registered Guernsey herd in North America and through the decades has been a consistent award winner for breed excellence and quality milk production. Great milk comes from dairy cows that are fed well, receive outstanding care, and live in a stress-free environment. We are proud of our dairy cows and the milk they provide for our extraordinary cheese, and we’re privileged to be carrying on the tradition of excellence W.D. Hoard established in 1899.